Does your dog pull hard during walking? Is it hard to train him because no leash can stand his pulling force longer than two weeks? Forget about broken leashes and wasted money on dozens of new accessories! 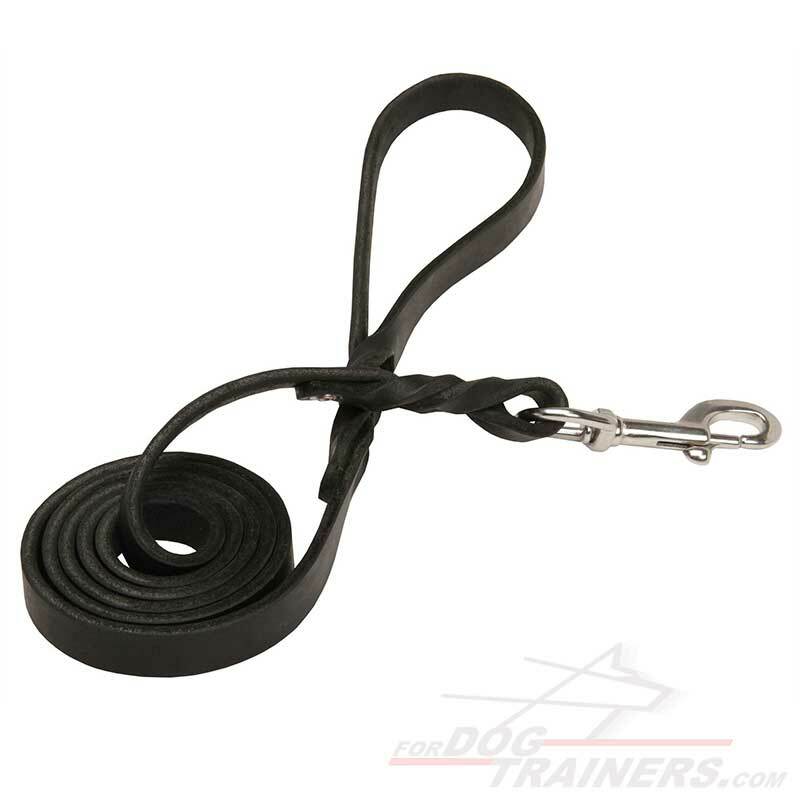 This leather leash is created to serve your canine for many years. Choose this genuine quality equipment and make training and walking more joyful and safe! Reliable stainless steel snap-hook ensures that it is non-corrosive and long-lasting. This comfortable and highly practicable leather dog leash is probably the best accessory for responsible breeders. 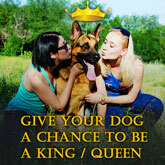 It will help you to better control your dog’s movements, thus, correct his behaviour. So, if your aim is to get a reliable, durable and strong dog leash, then you have found it already! Besides, there is an option to add a ring on handle for the handler’s comfort. This canine equipment corresponds to the professional dog handlers’ requirements, so you can be sure in its undoubtful quality. It’s very comfortable to use and practicable because it was made according to the international standards. 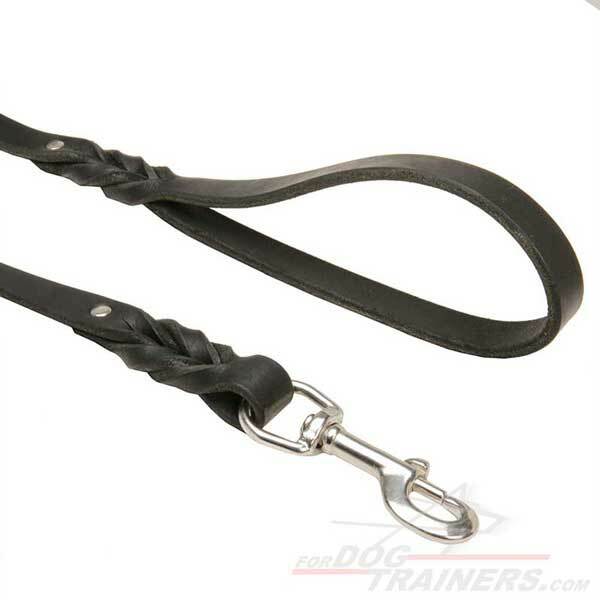 This leather leash is a great supply for adult, young dogs and large, powerful canines. Special short braids make it look elegant and luxury, unlike ordinary leashes. Underline your pet’s individuality! Get the finest gear ever for your beloved dog! The fittings are made of rust resistant stainless steel. Due to it they have amazing elegant color and resistance to corrosion. In order for this leash to be even stronger and to serve your canine longer, its edges are fixed together with rivets. Braided decoration makes any dog equipment look luxury while usual daily walks with your pet. If you are tired of wasting your money on lots of leashes, order this one! By the way, its price is more than affordable!